Culver woman arrested for DUII Jan. 17, after motor-vehicle crash in Crook County. A Culver woman was arrested for driving under the influence of intoxicants following a Jan. 17 single-vehicle accident in Crook County. According to the Crook County Sheriff's Office, deputies were dispatched to a reported crash on Southeast Juniper Canyon Road, near milepost 3, at 4:09 p.m., along with Crook County Fire and Rescue. No injuries were reported. When deputies arrived on scene, they found a silver Dodge SUV on the east side of the roadway on its side. The vehicle was being driven by Jenna Mazour, 30, of Culver. 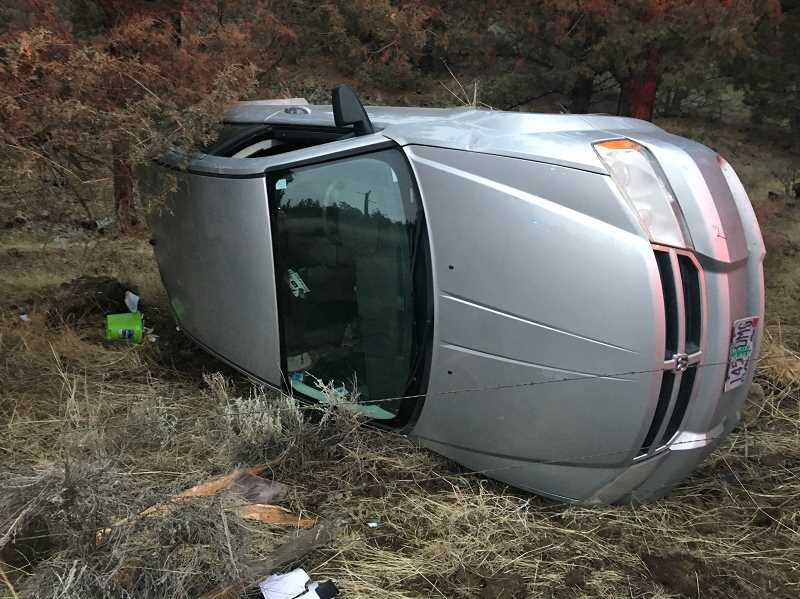 The investigation revealed that Mazour, the sole occupant of the vehicle, was traveling north on Southeast Juniper Canyon Road at variable rates of speed and lost control of her vehicle, which exited the roadway on the east side of the road and went approximately 30 feet before rolling onto its side. She refused medical treatment at the scene. Mazour was arrested for driving under the influence of intoxicants and transported to the Crook County Jail.